There are so many great Branson shows that it can be a little overwhelming trying to decide which one’s are going to be best for your family vacation or group reunion in Branson. To be honest, we don’t think you can go wrong with any of the high quality Bransonshows that this town has to offer! But, we can certainly help you narrow things down to best fit your party’s tastes and interests. Let’s take a look at a few Branson shows and how they might play into your particular trip. Sight & Sound Theatre – Jonah rounds out 2015 at the Sight and Sound Theatre with Moses hitting the Branson stage for 2016. Clay Cooper Theatre – The Clay Cooper Show is one of Branson’s mainstays. His showmanship is second to none and his award winning show is evidence of this. Clay also hosts The Haygoods, Red, Hot & Blue, Mel Tillis and more. Yakov Smirnoff Theater – A mainstay in the entertainment scene since the late 1970’s, Yakov Smirnoff was a regular guest star on the award winning NBC sitcom, Night Court. He has been a popular guest of numerous national TV shows including the Tonight Show. The Bretts Show – Have fun at The Bretts Show—voted Branson’s #1 morning show! Now in its 16th award-winning season, The Bretts Show is a high energy two hour production full of singing, dancing, comedy, variety, and many surprises for the whole family. SIX Show – SIX Voices, ZERO Instruments, ALL Music are what’s behind the amazing group SIX! Legends In Concert – With international acclaim and its storied history, Legends In Concert, owned and operated by On Stage Entertainment, is known as the pioneer of live tribute shows and possesses the greatest collection of live tribute artists and celebrity look-alikes in the industry. King’s Castle Theater – From the man behind Spirit Of The Dance, King’s Castle Theater is home to high quality stage productions such as New Jersey Nights, Puttin’ On The Ritz, Dublin’s Irish Tenors and Celtic Ladies, and more. Hamner’s Unbelieveable Variety Theater – This all new show features the Unbelievable magic of the Hamners, the vocal talents of Jeff Brandt & Tamra Tinoco, Russian aerial adagio dance pair, Vadim & Mariya Serykh, ventriloquist Brenda Hahne, and an incredible dance team of AJ Heard and Ken Brown. God & Country Theatre – The God & Country Theatre hosts around 10 shows in their Branson Theatre including Bee Gee’s & Beyond, Always Patsy Cline, Modern Tribute to ABBA, Dancin Through the Ages & many more. #1 Hits of the 60’s – A Branson mainstay, the #1 Hits of the 60s has been rocking audiences for over 10 years in Branson. This Branson show brings you all your favorite hits from the 1960’s in one action packed show. Presley’s Country Jubilee – Little needs to be said about the Presley’s Country Jubilee, its one of Branson’s first shows and the first on the Branson Hwy 76 Strip. Patsy Cline Remembered – Hear the voice that captured a generation with Patsy Cline Remembered. Shepherd of the Hills Outdoor Drama – The Shepherd of the Hills brings the Outdoor Drama back to the outdoor stage at Shepherd of the Hills in Branson, Missouri. There, you’ll experience Harold Bell Wright’s famous book of the same name. Witness Old Matt, Aunt Molly, Young Matt and the rest of the gang how it was supposed to be seen, on-site of the real-life events the book was based upon. Imax Theatre Complex – Within the Imax Theatre Complex site the Imax Theatre and McFarlain’s Restaurant as well as a host of other shops and boutiques. If you want to see a live show, they have that too! The Little Opry Theatre is located within the Imax Complex and host to multiple shows in a very inimiate setting. Oak Ridge Boys Theatre – The Oak Ridge Boys Theatre in Branson provides some of the best entertainment in Branson. The Oak Ridge Boys themselves along with over a dozen international country stars play the theatre each year. Guests have included Craig Wayne Boyd, who will be back again in 2015 for the Christmas show, Kellie Pickler, Wynonna Judd, Johnny Mathis and more! Mickey Gilley – Experience the legend at his own Mickey Gilley Theatre for the last time in 2015 as MIckey sets out to perform his last shows ever. Hughes Brothers – See Branson’s & the world’s largest performing family, The Hughes Brothers, at their own theatre in Branson. Fair Family – The Fair Family is relatively new to the Branson stage. The 5 brothers and sisters are musically gifted with vocies to match. Great Passion Play – One of the Ozarks & Eureka Springs top shows, The Great Passion Play is known the world over for its inspiring production. These of course represent but a few of the great Branson shows available and a small example of the different kinds of shows found in Branson. No matter what your interests or tastes, we’re positve we can help you find a show that you and your group will love. The members of Branson Travel Planning Association have been helping folks just like you to plan their perfect Branson getaway for years. Our group of experienced travel experts can assist you in booking the best seats available for the lowest prices, find hotel and dining deals, handle your reservations, and so much more. They take care of the heavy lifting so you can spend more time having fun! 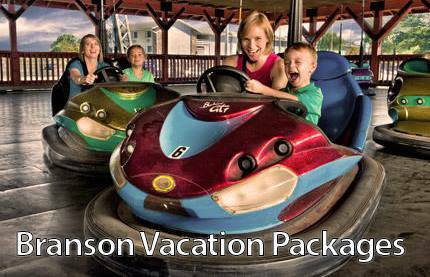 Contact one of our members today and let them help get you on the road to Branson.